After a successful first week with the budgeting poll (results here), I’m pleased to announce Money Poll #2. This week’s topic is coupons. As before, I thought I’d say a few words about how we do things around here before jumping into the poll. In general terms, we don’t use coupons when we shop for groceries. Rather, we typically focus on store brands when we shop, and we also try to stock up on things when they’re on sale. I use coupons, but only for things I already buy. I’ve gone onto pretty much every companies website for promotions and coupons. I wish there was a website were I could list EVERYTHING I buy on a weekly basis and get coupons emailed back to me. Is this only a dream or is it possible there is a such thing? Today I went to CVS. I bought $80.85 worth of products and paid $3.46 out of pocket. And that was AFTER tax was added. I don’t coupon mainly because it’s prepared food and DH won’t eat it. He prefers from scratch stuff, and it probably is cheaper, he’ll admit, but he thinks it tastes better fresh. Drives me nuts, but whatever, at least we’re cooking instead of eating out. We buy very little foods that are prepared, boxed, canned, whatever. Very few coupons out there for fresh foods that are prepared from scratch. OR for the specific items we do buy prepared. And since our shopping is done at a big deep discount warehouse type store, I don’t see that I can get a can of diced tomatoes for .29 anywhere else–coupon or no coupon. I have to agree with angie…”if you are not using coupons…you are missing out.” I went to the store three times this week, I have last nights reciept in hand,total before savings =$75.40 I only paid $9.89 AND TOPS gave me another coupon for $10.00 off my next order! THEY PAID ME TO COME BACK!$1.50 of that was for 3 -.50 newspapers!In all $250 for less than $45.ALSO some of that money went into my sons UPROMISE account! Pillsbury,heathy choice,hot pockets,chore boy, zatarains …NO ALDIS for me! But I do buy Tops brand items. Educate yourself & profit.Buying your food at aldis is like buying your shoes/clothes at the Dollar General…you get what you pay for. We rarely use coupons, but do keep an eye out for ones that are for things we already buy (mostly via circulars and val-paks, we dont get the paper). I’m pretty particular about my brands though, so I rarely use store brands unless they are equal in quality to a favorite brand. I’ll always give generics a try in the hopes of saving money in the future, but I’ve found so many of them disappointing. I rarely use coupons. I don’t buy the Sunday paper or buy coupons on ebay. I do use a pricebook though to find the best prices and often buy generic. I’m a stay at home Mom with 3 kids. 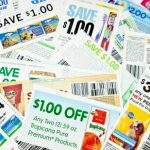 I realize the importance of saving money – I used to be a diehard coupon cutter. I used to visit several groceries to save. But that has changed with the kids. We discovered Aldi’s!!! I don’t need 15 varieties of ketchup, etc…. Time can’t be bought with a coupon and shopping at Aldi’s gives me freedom from cutting coupons. if you are not using coupons to get free and almost free food you are missing out! one of the things that people say is “there are not enuff coupons for the things that I buy” I say why not buy something else? heck if they are going to pay me to buy something or give it to me for pennies and I don’t use it SOMEONE ELSE NEEDS IT! a bit of time and a learning curve will have you cutting down your expenses DRASTICALLY if you take the time to learn! you can watch my video of me in “action” if you like to on my site………. anyway join some newsletters and groups to share the tips and tricks and in no time you will see they are well worth the effort, I feed 4-5 people daily and weekly budget $30 for groceries, eat well, name brand and heck try new things all of the time! some I like others I don’t, when you like something or don’t write the company and often they will send ya MORE free products or coupons to get it free! 🙂 GOOD LUCK and happy couponing! I would use coupons more, but I find that the generic stuff is often still cheaper even after using a coupon on the name brand stuff. Also, the coupons are often for stuff that I wasn’t planning on buying, so I don’t want to get suckered in! But I use them once in a while, if I am getting something I would get anyway. I cut coupons that fall into categories that we eat/use. Last week I got $148 worth of groceries for $74. It’s all stuff we eat. Two weeks’ worth, with the exception of fresh produce and milk. I am just not brand-particular. Bread, cereal, juice, cold cuts, etc. Whatever brand/type is on sale, AND I have a coupon for it, which my store doubles, I get. OR I get the store brand, if that comes out cheaper. I don’t usually buy soda, though I like it, but last week I got two big bottles of 7Up for free. The only problem is that the produce is kind of yucky in the cheap store. Two weeks ago there was a bird hopping from celery to apples, etc., with no attempt to get it out. I now go to the more expensive chain for produce. Coupons are nice for people who like them, but most of the time they’re not worth the time and effort for me. I don’t use coupons that often actually. Most of the time they’re for stuff I don’t buy. I found that, for me, it worked best to pay with cash. That way, I go in the store with a purpose and with a specific amount to spend, which is whatever we decided on our budget. Kim- I agree that some of the store brands aren’t always the same. We are BIG fans of Jif peanut butter too. Did you know that you can get them in two packs at Sam’s Club? Incidentally, Sam’s Club is a great (i.e. cheap) place to buy eggs and milk, Jim. I find i can save about 20% with coupons, and hope to save more when my fiancee and her son move here this summer. But, i get dissapointed when the bulk of coupons i get are for products that still cost more than i want to pay, even after the .55 off when purchasing 2 type deals. I tend to look at the cost per unit savings. Few groceries around here double coupons, and SuperTarget never does, so I rarely remember to take them with me. I am also a big fan of store brands, so coupons don’t help too much. I will clip ones for toothpaste, as I’m not too brand-picky. I am a coupon chick. I cut out the ones we would use and try and wait to use them to match them up to a sale. If they are expiring soon then I will just go ahead and use them. I try and use store brand when I can but we do notice the difference on some things. For example, peanut butter. I gotta stick with Jif – but they have $.55 coupons and my store doubles up to $1. I love it! Bah! It didn’t register my vote, which was for the top option. I’m becoming more discriminating about what I get for free, though. For example, I’m all about 70 bottles of assorted pasta sauces, but I’ve learned that if you get 40 free cake mixes– well, then you have 40 cake mixes sitting around. Thank heavens for food banks! I used to be “Yes, as much as possible but not militant” but ever since my fiance moved in with me I haven’t been buying the sunday paper as often, so it has been more of “No/not really/store brand and sales”. I also lost my coupon folder I used to use to organize them, which may have a lot to do with why I don’t clip coupons as often. One time, a local supermarket had a 75 cent coupon that they were doubling on a $1.75 newspaper. My favorite spaghetti sauce was on sale, and there was a coupon in the newspaper for either 50 cents (doubled) or $1 off two jars. I bought 10 or 12 newspapers, clipped the coupons out, then went back inside and cleaned them out of the spaghetti sauce. The afternoon was then spent walking around the city discovering how difficult it is to give away free newspapers; it’s amazing how heavy that much paper can get after lugging it around in a backpack for a few hours.